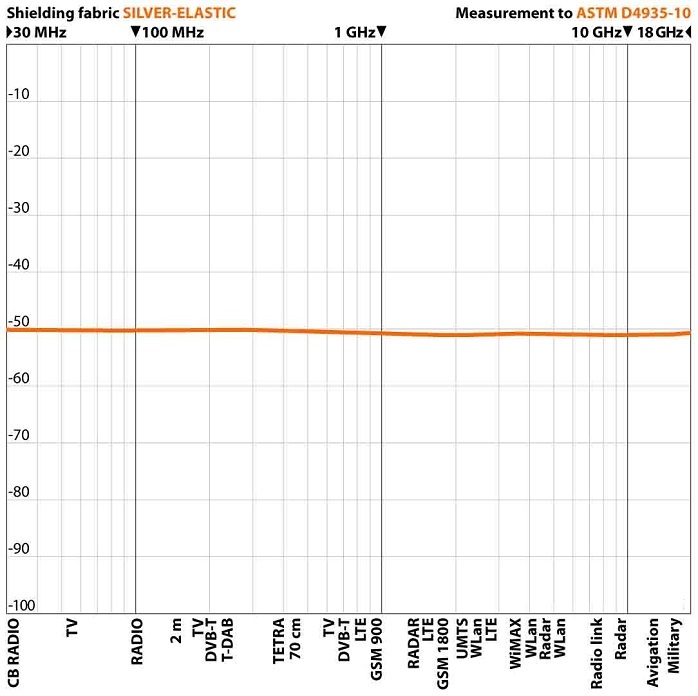 Silver Elastic is a compact, full silvered spandex fabric for HF+LF shielding. Typical application to sew articles of clothing. Due to the high elasticity perfect as close-fitting laundry. Actually our best apparel fabric. Silver products: Silver products will discolor over time, what is no quality defect or a reason for rejection. Silver products have a limited lifetime, what depends on the frequency of movement. We dont use nano-silver. Information Fabric quality: We only sell top quality fabrics! However, due to the high production costs and in favor of a reasonable retail price, tiny defects (e.g. a flaw in weaving) are no reason for complaint. We appreciate your understanding. Special feature: This fabric is elastic, to sew articles of clothing, please consider the shrink and extensibility rates at the „Technical data“. 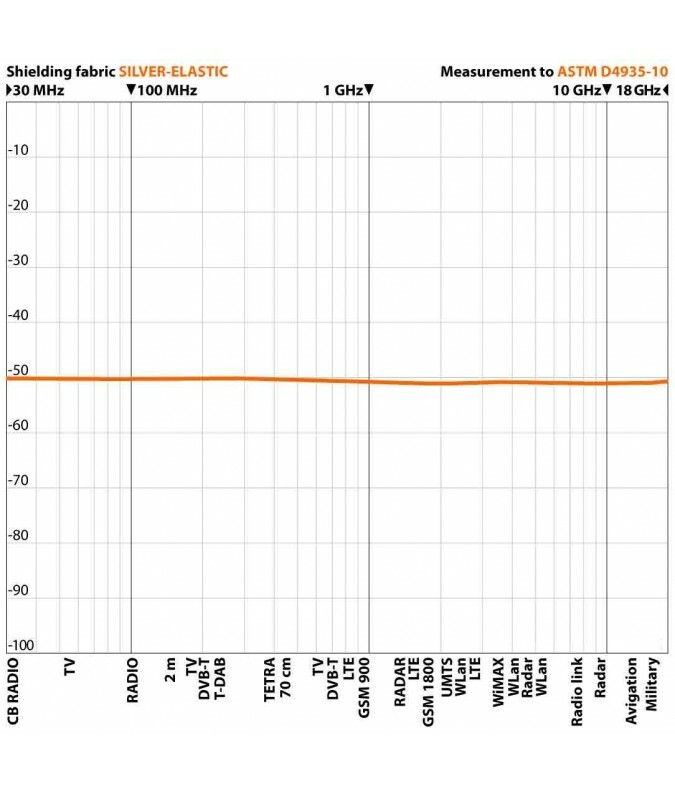 High screening attenuation, especially at high frequencies! Textile similar characteristics: Washable, easy to process. Exception: Do not iron.